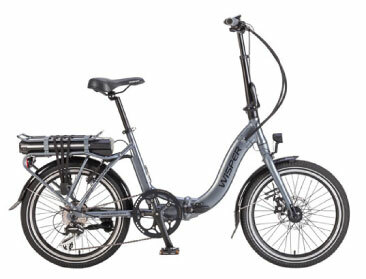 The Wisper Torque range of ebikes utilises a new and unique hybrid torque drive system that integrates information from both a torque sensor which measures the the pressure a rider puts on the pedals and a cadence sensor that detects when the pedals are being turned. The system has been specially designed to deliver powerful assistance smoothly, efficiently and almost silently, offering a very natural riding experience. Wisper’s innovative software cleverly combines information taken from the bike’s sensors to provide you with a seamless and natural riding experience. The main benefit of the Wisper Torque drive system can be best experienced when setting off – especially on an incline. 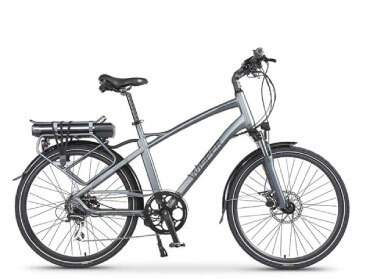 The moment you put pressure onto either pedal, the bike will react by gently engaging the motor. The more pressure you put onto the pedal, the more assistance you will receive from the motor. Once the bike is underway the power assistance will gradually reduce until it’s needed again – such as when cycling up hills, entering strong head winds or if you need to accelerate. The efficiency of this system increases the Wisper Torque’s range by up to 40% when compared to standard cadence sensor systems. All Wisper bikes are fitted with a twist throttle that is limited to a 4mph walk assist mode whilst the bike is not being pedaled. However, as soon as you start to turn the pedals forward the throttle becomes active, by twisting the throttle you can achieve up to 15.5mph without the need to increase pedal effort. 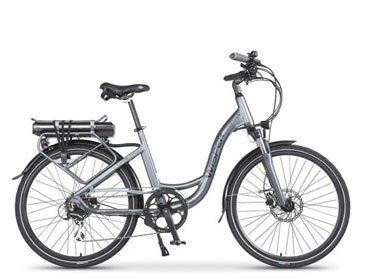 The Wisper Torque is unique amongst other ebikes since it gives you the facility to turn off the torque sensor so the system can run on cadence sensor alone. This feature is beneficial on long flat roads when continuous maximum assistance may be preferred. Despite it’s superb hill climbing ability, our torque drive system is virtually silent and is almost undetectable with the high torque motor sitting unobtrusively behind the rear gear cassette.